As a beginner, how do you know what to look for in a resort? Easily accessible slopes? Cheap ways to get going on your skis? Easy terrain? Tip top hot chocolate stops to keep you fueled up? 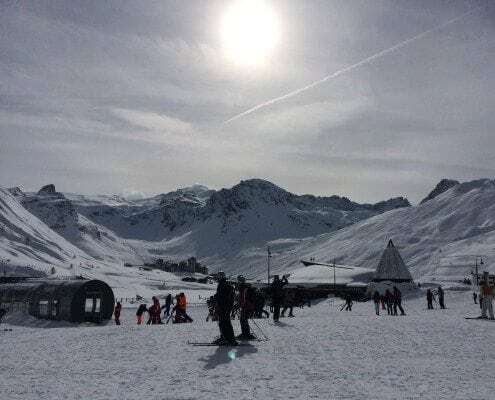 Well look no further, Tignes has it all. 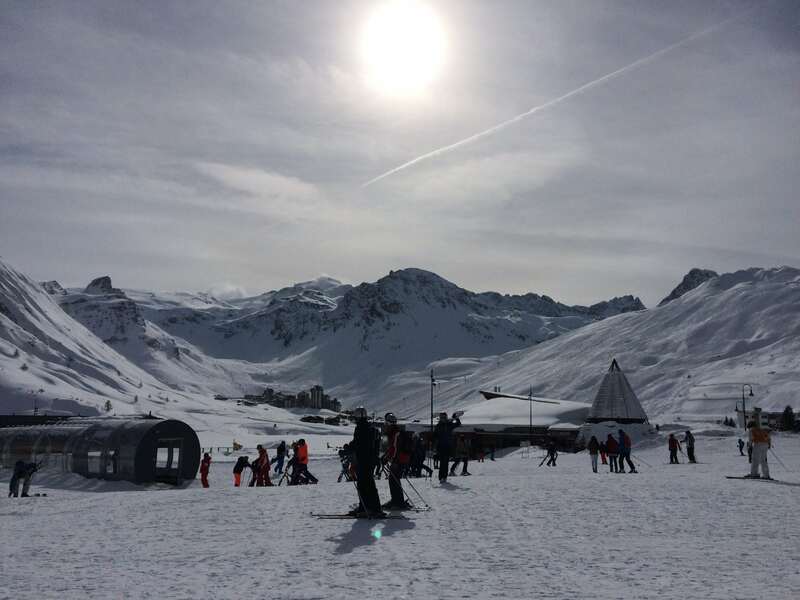 Why Tignes is a great resort for beginners. The beginner area sits in the centre of Le Lac making it really easy to get to. For those not staying in Le Lac, the local bus is free and will take you within touching distance of the Magic Carpet. The magic carpet is the first stop for most “never-even-put-on-a pair-of-skis” beginners. With a gentle slope at both sides, it offers plenty of space to get yourself used to your new planks! 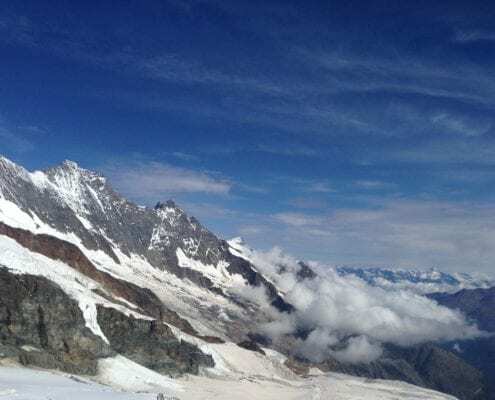 Even more conveniently, this is right next to our meeting point for those learning to ski with one of our enthusiastic, knowledgeable and encouraging team members. Once you’ve tackled speed control, stopping and turning on the magic carpet it’s time to make your way over to a drag lift. The Lavachet drag is just a short and gentle ski away. This is a wide and open green run, with space on both sides to practice turning to your heart’s content! This will be your first taste of a longer ski run. It will allow you plenty of distance to practice turning and stopping, and also gives you an opportunity to develop your skills with comfortable space. It’s possible to ski back to Le Lac from the drag if needed. Otherwise, once you feel confident on the drag, head over to the Rosset beginners chair. You’ll get a taste for cruising the blues on this short, introductory blue run. Practice matching your skis during your turns without tiring the legs too much. These beginner areas are always well looked after and groomed daily. So the snow conditions are the best they can be for everyone experiencing snow for the first time. If you’ve ever had a go on a dry slope or in a snowdome you’ll find it a doddle moving onto real snow for the first time! And what’s even better? All three beginner lifts are free. 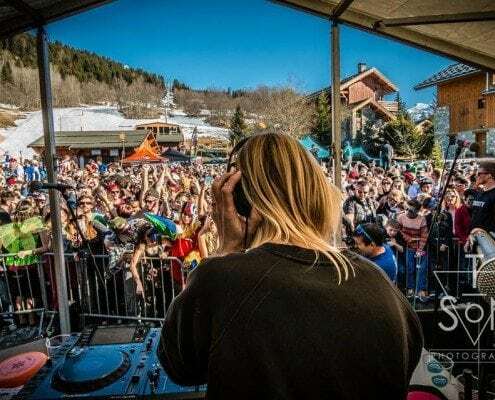 Your instructor will then let you know when you’ve developed the necessary skills to progress up the mountain onto the longer green and blue runs that Tignes has to offer. It’s at that point it’s time to buy a lift pass! To top it off, there are plenty of cafés surrounding this area should your legs get tired. We recommend Croq Burger, which offers a range of tasty snacks at reasonable prices with plenty of seating inside and out, making it ideal for groups. Another great option is Chevallot bakery next to the Rosset chair, with great coffee and pastries all within view of the Rosset beginner run. Or check out a hidden gem La Cantine offering arguably the best hot chocolates in Tignes. Some more experienced skiers comment on the runs in the Espace Killy – blues seem to be “dark blue” and greens seem to be turquoise! There’s no denying that some runs have some “feistier” sections than the blues and greens of other resorts but if you know where to go you can challenge yourself without having your confidence crushed on your first trip up the mountain! 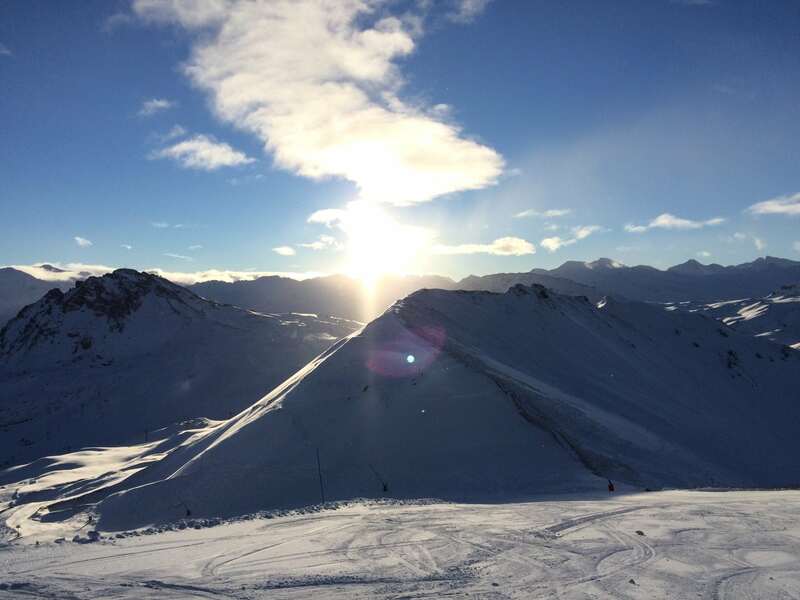 So don’t believe the rumours – there are plenty of spots to push yourself and develop your skills on manageable and enjoyable slopes in the Espace Killy. And for those who want to venture onto the more challenging blues then you get to go to other resorts and feel like a pro! Luckily our instructors know the quieter spots, the more manageable sides of the pistes, the areas to avoid (and the best hot chocolate stops!) so you’re in safe hands learning to ski with us. Groups are a great option for beginners. You get input, advice, and support every day and prevent getting into bad habits early on. 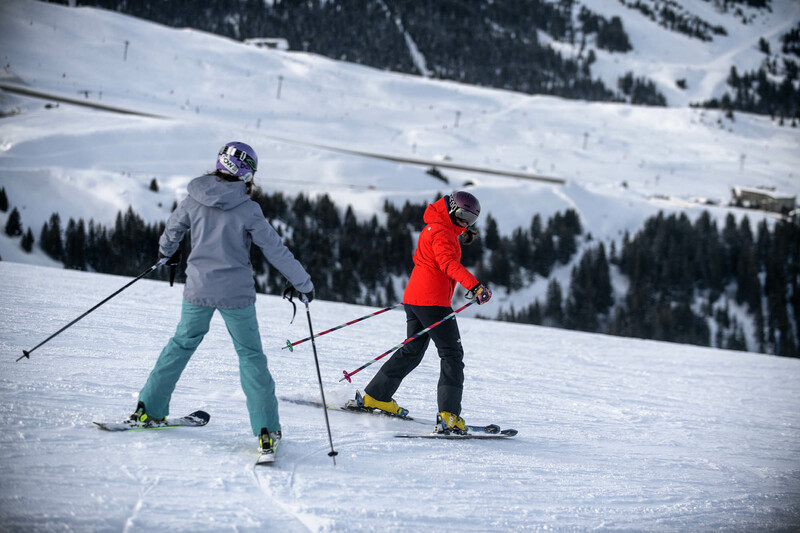 With small groups at a great price, we’ll help you to explore one of the best ski areas in the world, all within your exciting first week in the mountains!